Russia is not considered a priority market. Ukrainian government on Wednesday adopted an export strategy of Ukraine for 2017-21, which sets guidelines for the development of trade relations, overcoming obstacles and use all available opportunities for export development. 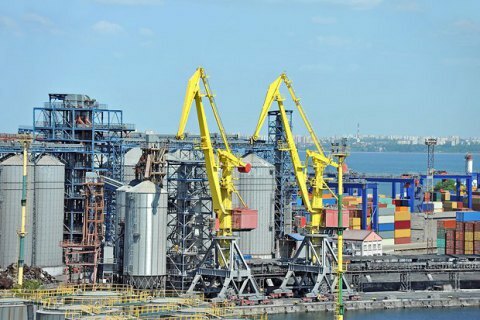 "This is a plan of action for Ukraine to switch from the predominantly export of raw materials to the export of science-intensive innovative products, to the success of Ukraine in world markets," Economy Minister Stepan Kubiv said on Wednesday, 27 December. The roadmap sets the strategic objectives of the development of trade in Ukraine for the next four years. Among them are the creation of conditions for the development of trade and innovation to diversify the export of Ukrainian goods and services, government support of exports, as well as enhancing the level of knowledge and skills necessary for enterprises to carry out international trade. The strategy says that priority markets for Ukraine are the EU, the USA, China, Turkey, Japan, Georgia, Moldova, Israel, India, Indonesia, Belarus, Canada, Thailand, Egypt, UAE, Bangladesh, Lebanon, Philippines, Nigeria, Saudi Arabia, Switzerland. Ukraine's ten largest trade partners in 2016 were Russia, China, Germany, Poland, Belarus, Italy, Turkey, India, Egypt, and the United States.